The Great Plains of Canada stretch from Manitoba, across Saskatchewan, and on into Alberta. This predominantly agricultural region is the breadbasket of our neighbor to the North. Small towns and villages are scattered across these thousands of square miles, serving as the small population bases for the farming communities. These rural municipalities are faced with unique challenges when it comes to managing their water systems, roadways, and other infrastructure. For example, if there is a road that needs a small amount of paving or some concrete that needs to be poured, there may only be one time per year when the mobile batch plants comes through town. Combine this with some bitter cold, a very limited budget, and long distances to industrial centers, and you can see how it is hard on the small municipalities. Small issues are major, and major issues can be catastrophic. In central Saskatchewan we have a contractor, JACC Structures, that we have been working with going on our third year now. The owner, Randy Serhan, purchased a slab lifting poly rig from our company and we helped him on his first big job, lifting all of the slabs in a cement plant that was being converted to a seed sorting facility. (Click here for the case study on that job.) Since that successful project, we have increased Randy and his crew's training to include crack injection, curtain wall grouting, and permeation grouting for soil stabilization. With these skills he has found a lot of opportunities to stop leaks and stabilize soil for mines, agricultural facilities, and municipalities. Many times a hero in his 22 years working as a Royal Canadian Mounted Police officer, he is now seen in that same light as he saves small communities thousands of dollars saving roads and infrastructure that otherwise might fail. 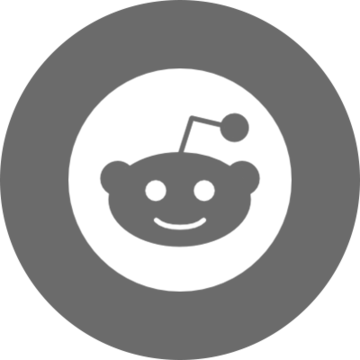 Take the small community of Star City, Saskatchewan as a recent example. They had a corrugated metal culvert that passed under a gravel road for about 60 feet. Most of the roads there are gravel and this was one of the major routes used by farm combines and tractors. The last several years Saskatchewan has been plagued by high water tables, often making some farmland unusable. The culvert in Star City was subject to a good amount of water flow and over time, the water actually washed out the soils around the inlet of the pipe. This progressed until there were actual streams of water flowing beside and beneath the pipe, rather than through it. This is not unusual and in a lot of cases it is undetected; the erosion of the soil eventually washing out to the point that the the overburden collapses. In this case the road would have caved in unless it was treated. 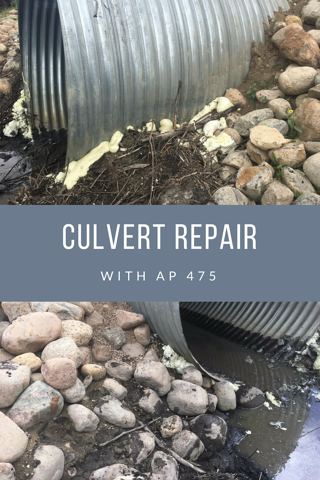 For anyone who has ever installed large culverts made of plastic or corrugated steel, you know that it is the back fill around the pipe that provides a lot of the strength. Trying to pack soils or rock underneath the lower areas of a pipe is difficult at best and that's often an area of weakness. In this case the soils washed out and something needed to be done. Star City and JACC knew of each other through tradeshows like the SWA conference in Saskatoon. The municipality reached out to Randy and asked him to come take a look at the problem. "You betcha" was the standard Canadian reply when they asked if he had a solution. As I mentioned, these types of problems with erosion around culverts are not unusual. The town was already looking at a $65,000 outlay to have the road and culvert dug up and replaced, in addition to the $25,000 cost of the culvert itself. Not to mention the downtime and inconvenience of having to go miles out of the way to get past the road closure. Working from the inlet of the pipe and on through it, JACC injected two rows of structural AP Lift 475 through the wall of the pipe, to provide a bedding for the pipe and to fill up the erosion voids created by the water flow. One row was at approximately the 5 o'clock position in the pipe and the other row mirrored at the 7 o'clock position. This work was all completed without any excavation or road closure. The end result was a total success with the water flow cut off, the pipe bedding stabilized and strengthened, and the voids filled. It was completed in less than a day and at a cost to the city below 5 figures.